This has to be my most favorite dress yet. i found a little fabric shop with some beautiful stuff, it was very hard not to buy the store out! i used this tutorial from Everyday Chaos. i thought it was explained well and very easy to follow. The only change i made was adding the apron with a pocket. The fabric for the apron was around 11 x 7. i hemmed the 3 sides and then gathered the top. When it was time to attach the skirt to the top part of the apron i just sandwiched the apron in the middle (just make sure to center it). The pocket can be any size, but i found this tutorial great for getting a nice round edge. Look at this, i can actually show you the inside of the dress. 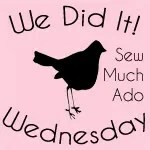 i am so proud of my neat, even hem thanks to Deb from Squiggle Twig Designs. She has offered to be a sewing coach, to teach some new techniques and tricks of sewing. She has been so helpful. Thank you, thank you! 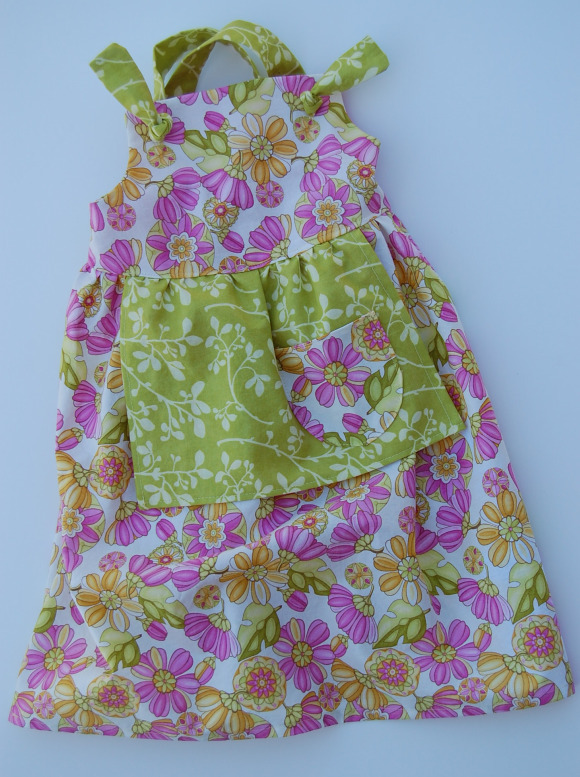 i am definitely going to make a couple more of these, perfect summer dress! It’s adorable! I love the fabric and the added apron. 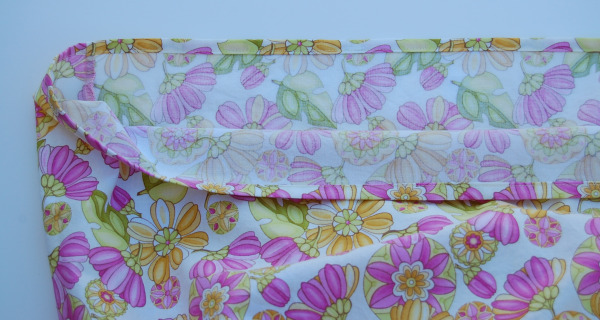 Thank you so much for the email with the link and the tips on how to make perfect pockets. I followed your tips and I managed to got my pockets looking perfectly rounded. I was very happy :o) Thank you once again for generouslly giving out your time to help a a newbie like me! Unfortunately my hubby deleted the email you sent me. If you still have a copy of the email in your sent folder .. would you forward it to me please please because I find your tips excellent and wanted to add that to my “learning note” folder. Hi I am new to your page and love the knot dress and all the other cute ideas,. but I am wondering is there a pattern for this dress, that I can buy . Or instructions. I am into making my grandaugher fun things to wear, and we all like miss matched things.